Taking each individually, it is a common rule with heritage buildings to ensure that the new fabric does not overwhelm the heritage fabric i.e. that a there is a delicate balance between the two but always respectfully giving greater prominence to the older heritage building or at least allowing it to be recognised as distinct from the new building. Accordingly, in most cases, the new bulk and scale should be subservient to the heritage building. Roofs should be set down lower and walls set in behind. The concept of heritage design is very much based on the streetscape view i.e. what one sees from the street. If one can place all the new bulk behind the heritage form in a manner that allows the heritage building to appear prominent from the street, then one will have progressed significantly towards achieving a thoughtful design. There is a caveat. 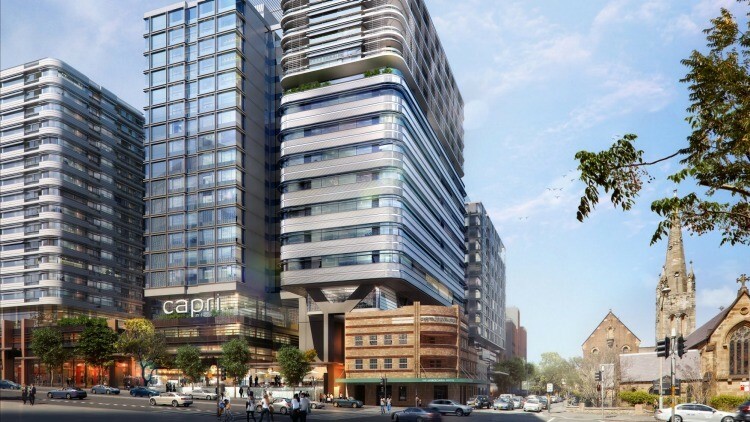 In a CBD context, a new building such as a tower may be built above the heritage item. This is possible so long as enough space is provided above the heritage building without loss of significance or character. Fig. 1 - Australian Hotel seemingly dwarfed by the high-rise development above in Chippendale (NSW) Australia. However, such an approach is acceptable because it still allows the heritage building to be clearly read as a distinct item relative the enormous bulk and scale above it – this is an artist’s impression of the design by Foster and Partners, Ateliers Jean Nouvel and PTW Architects working in conjunction with Dr Quek, the developer. The setting of a heritage building is as important as its fabric. The setting describes how a building sits in a natural landscape or in an urban/ suburban context. Its context informs its significance. Thus, anything that upsets or disturbs the setting of a heritage place should be avoided. Designers need to be aware of this precautionary principle when adding new bulk. The idea is to respect the heritage building and give it greater visual prominence than the new building fabric that is being added. If the setting is disturbed it can reduce the significance of the setting which very often includes landscape entities such as trees, paths and gardens. Fig.2 - Cecil Hills Homestead near Liverpool (NSW) Australia. It would be difficult to imagine some new building being placed in front of this very old farmstead dating back two centuries ago or to have a taller building behind it. Anything like that would completely upset the natural setting of the building and should be avoided at all costs. The choice of materials is important too. One does not need to copy the materials of the heritage building into the contemporary sections of the design. 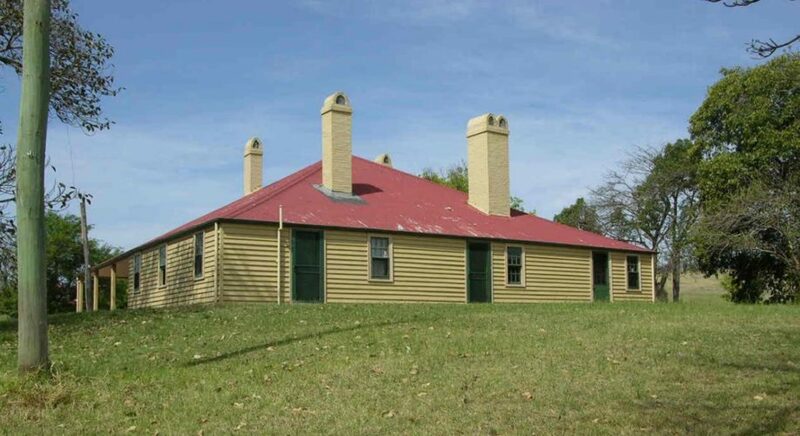 The Burra Charter encourages that new components are visually distinct from that of the original building and should not be made the same as the heritage building otherwise, this causes confusion and people have difficulty in working out which parts came first, and which were added later. 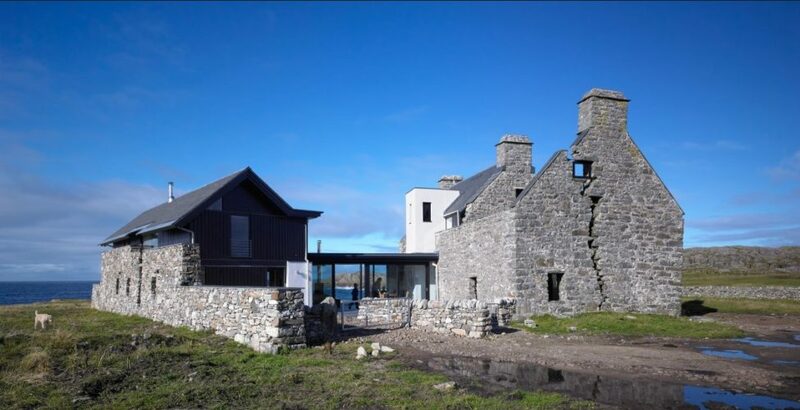 Fig.3 – The White House by WT Architecture in Grishipol (rough bay) on the Hebridean Isle of Coll in Scotland showing how the ruins of the old farmhouse have been acceptably incorporated into the new architecture. The form of elements such as windows and openings generally in a façade that is required to be compatible with a neighbouring heritage building or a heritage building close by, should be respectful of the placement and rhythm of such openings. Heritage buildings have a solid to void ratio that should be respected if not matched in the new design. One does not need to adopt this rule literally, but it does assist if one understands the nature and quality of architectural forms in the heritage context in which one is working as a designer. Another thing to think about is the Golden Section and that most windows in heritage buildings are rectangular and vertical. In contemporary architecture there is usually a predominance of glass and the natural solid to void ratio of heritage buildings is noticeably different in contemporary architecture to that of heritage buildings. Fig. 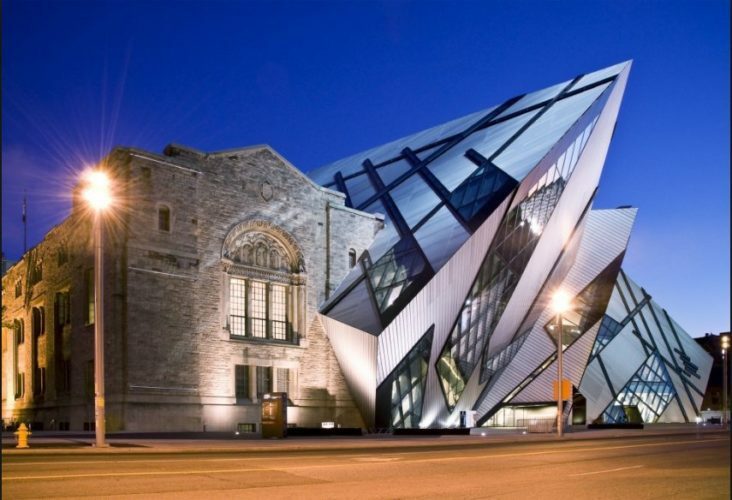 4 – A Study in Architectural Contrasts – 12 Modern Meets Historical Additions (Web Urbanist). Article by SA Rogers. At what point do modern extensions to historic structures surpass and overwhelm the original building rather than complementing and enlarging them? Contrasting architectural styles can be a tricky proposition, especially in preventing the addition from looking dated or outshining the historic buildings. In some cases, these modern renovations successfully conserve the original while in other cases they completely fail such as the above example per image by @V-Mark 3d Rendering Services. Lastly, there needs to be a connection between the heritage building and the new components. This should be deliberate and well thought out. The connection is a form of transition as one moves from the old into the new or vice versa. Conceptually, it is helpful to think about this transition as the device that links the two entities in time and space. The connexion becomes a defining gesture of change – one in which there is an admission of transformation not only by date but by authorship too. Fig. 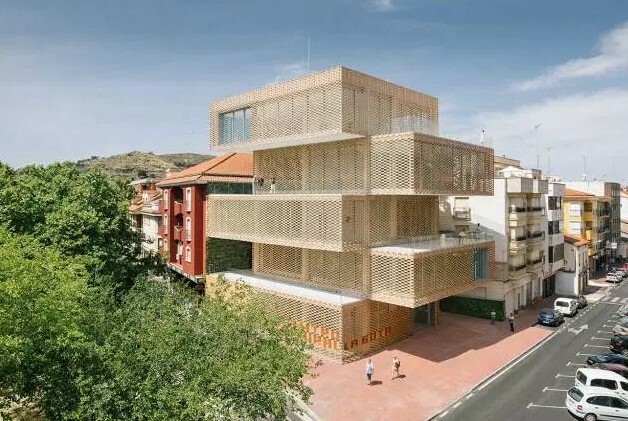 5 - Cultural Centre; La Gota – Tobacco Museum in the Municipality of Navalmoral, Spain by Losada Garcia Architects. The question is- does the building fit into its urban context or does it completely ignore it? I am of the opinion that in scale, bulk and form, the building does not fit into its context and overwhelms the subject urban context with an iconic, but ill-fitting form.